This bouquet may be ordered at almost any time of year as the ingredients are available throughout the seasons. The bouquet shown is the standard one, you may choose scented Oriental Lilies or the unscented Asiatic type. The deluxe and luxury versions may have more of the same flowers or you can choose to add other varieties into the mix. 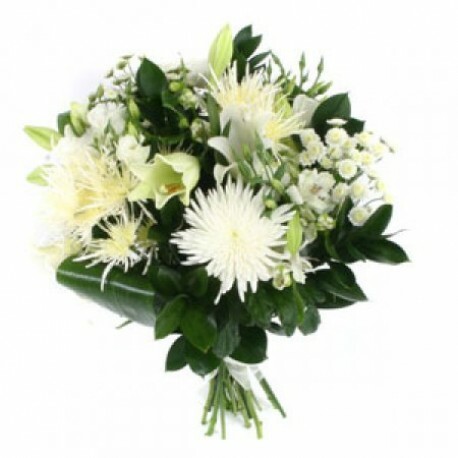 If you wish to stay with long lasting options we can add Carnations, spray Carnations, Alstromeria and Lisianthus. All of these ingredients will give a vase full of flowers that should last around two to three weeks, longer if kept in a cool room.